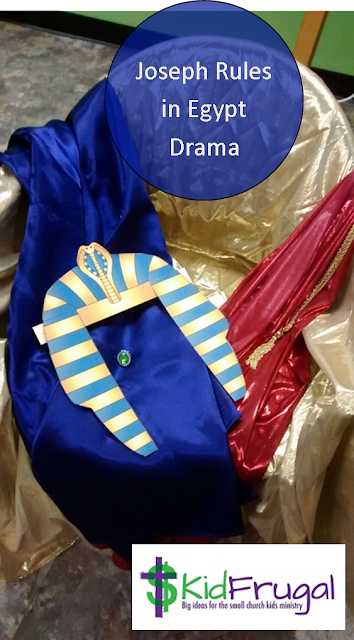 Drama is one of the finest ways for children to experience Bible stories. Many passages in the history books of the Bible lend themselves to drama. Here we did Joseph supervising the collection of grain during the 7 good years of crops in Egypt. A kid’s ring with fake jewel: you might have one in your prize box or try the Dollar Tree or look online. A gold chain: I had one, but Dollar Tree usually has strands of plastic beads for sale. You could even spray paint them if they didn’t have gold in stock. Pharaoh’s headpiece: I printed mine up from online here. Here is the script I wrote. It explains how the kids collected the bags of wheat and brought them to the storage bins each “year.” The beauty of this drama is that you can do it with as few as three kids or as many as 20 or 30. 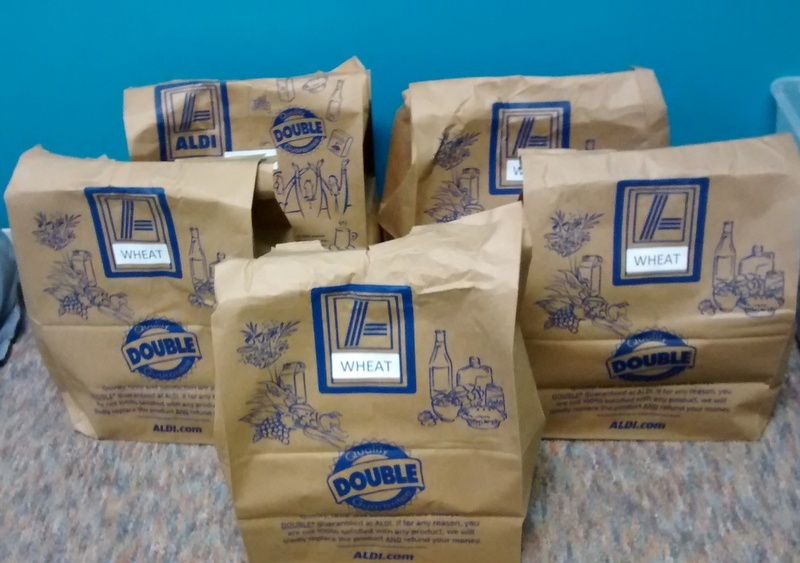 If you had a larger amount, you would want to make up a lot more bags of wheat than I did. 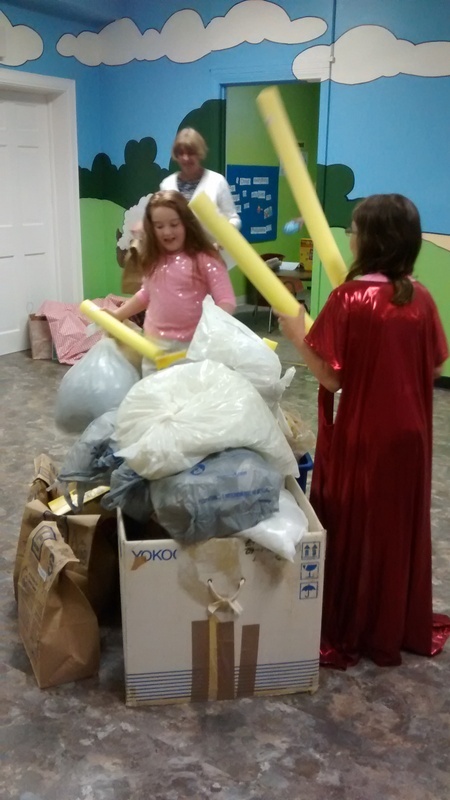 As we re-enacted the story, I had a helper continue to refill the room we had the bags of wheat in. I made sure the bags were in groups of five, since Joseph told them to take 1/5th of the harvest each year. This made it easy for the kids to get – although during the last couple of years I think our numbers got crazy. 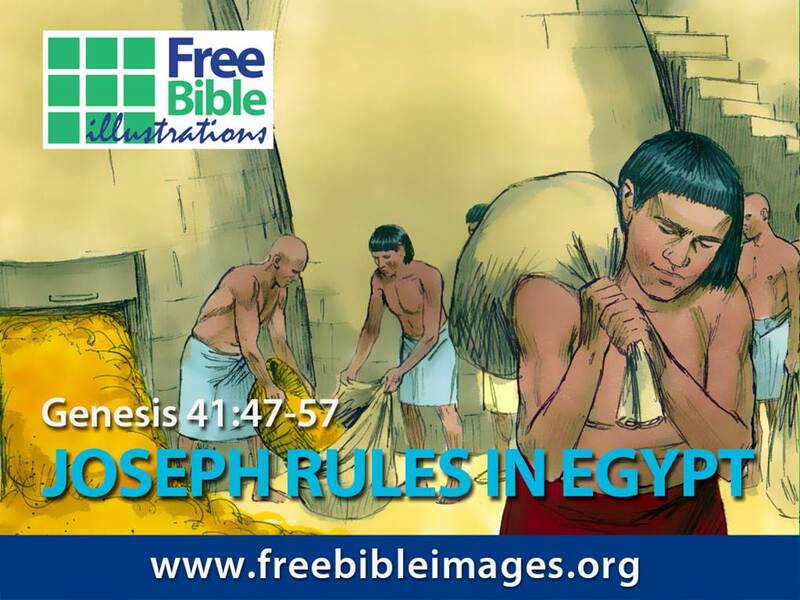 No matter, Joseph had stopped keeping count by then anyway. 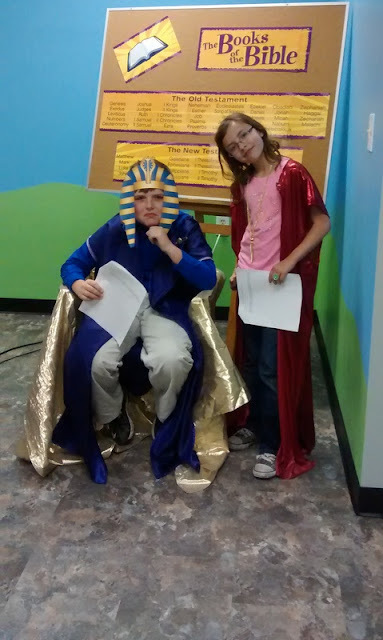 Pharaoh and Joseph after Pharaoh robed and decorated him. Storing up the gathered wheat, year four.